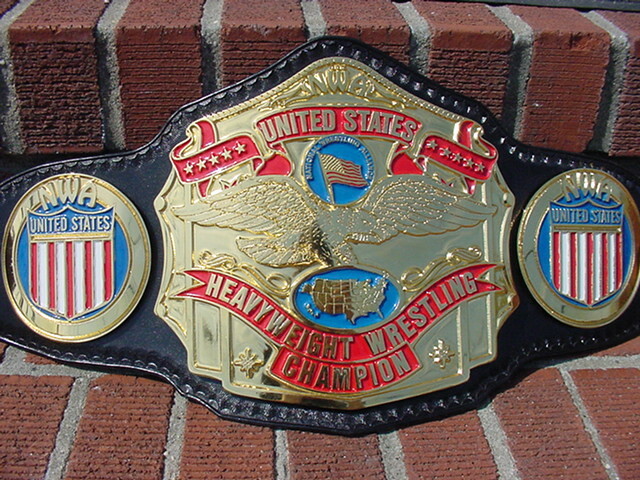 Here are pictures of my National Wrestling Alliance United States Heavyweight title. 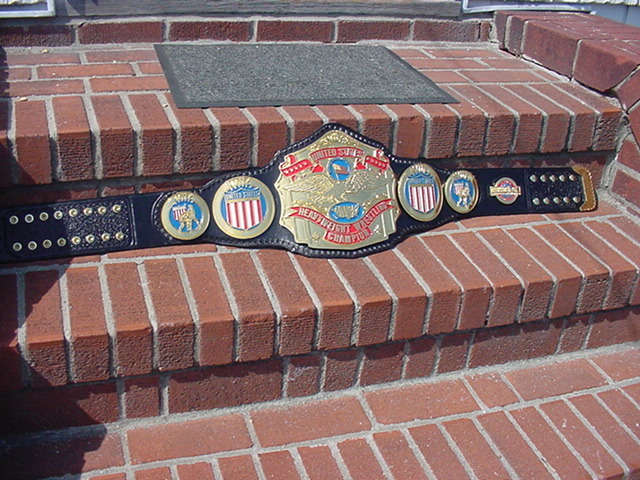 Dave did a incredible job on this one, the leather cut and tooling are just perfect! 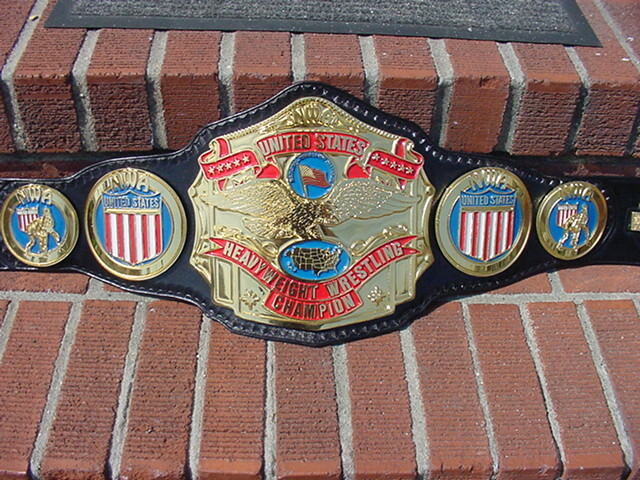 It's a 5 plater with Jim Crockett Promotions logo plate, tip and red leather backing.